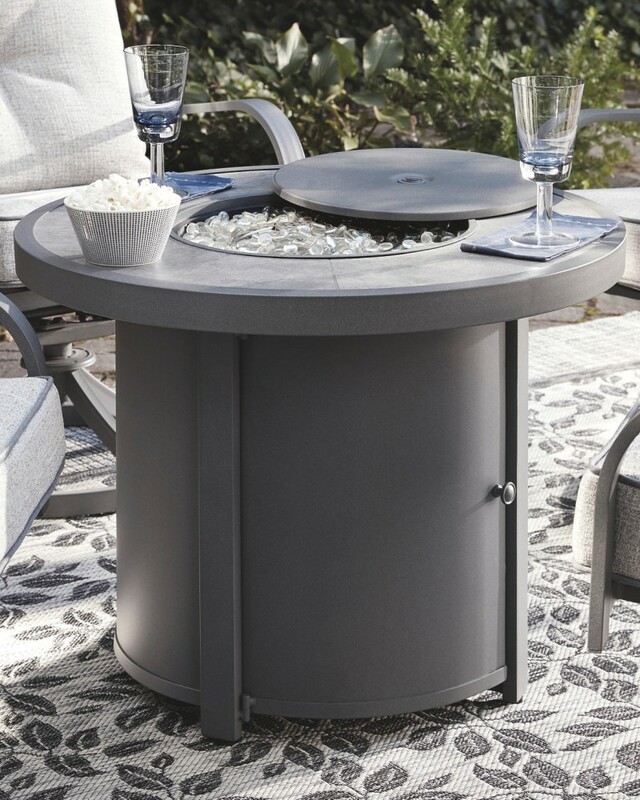 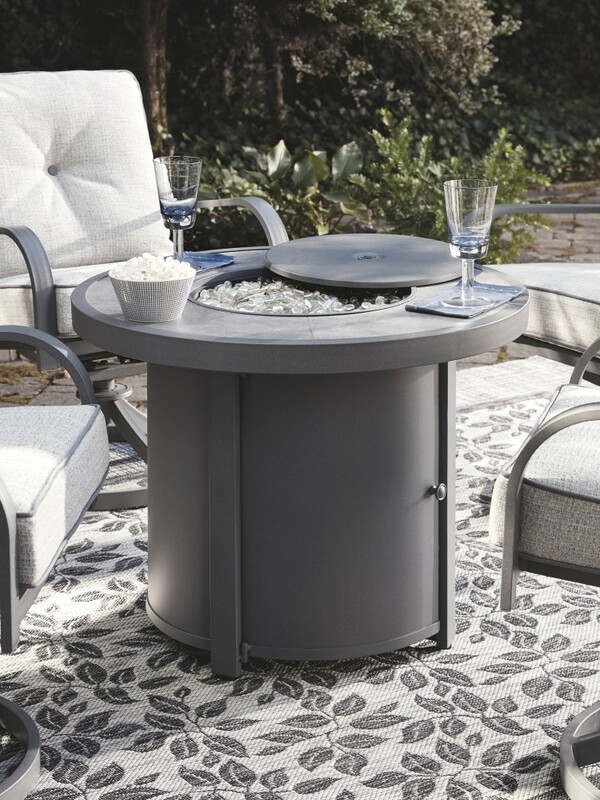 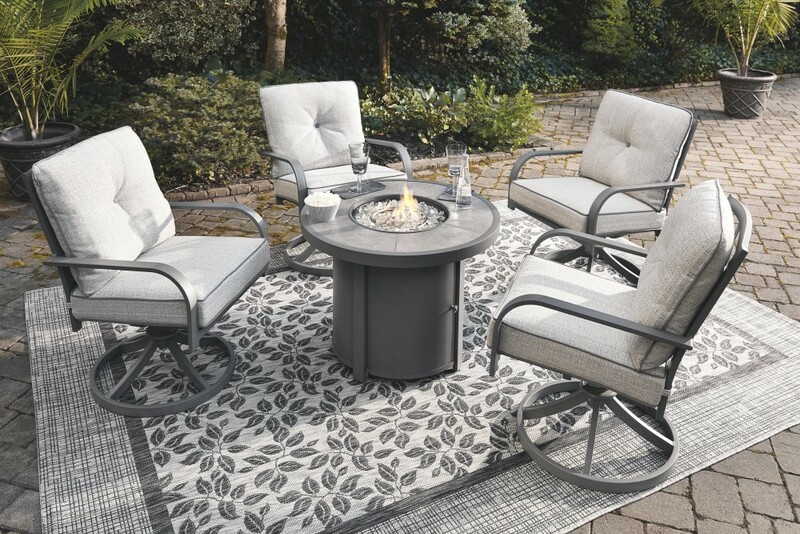 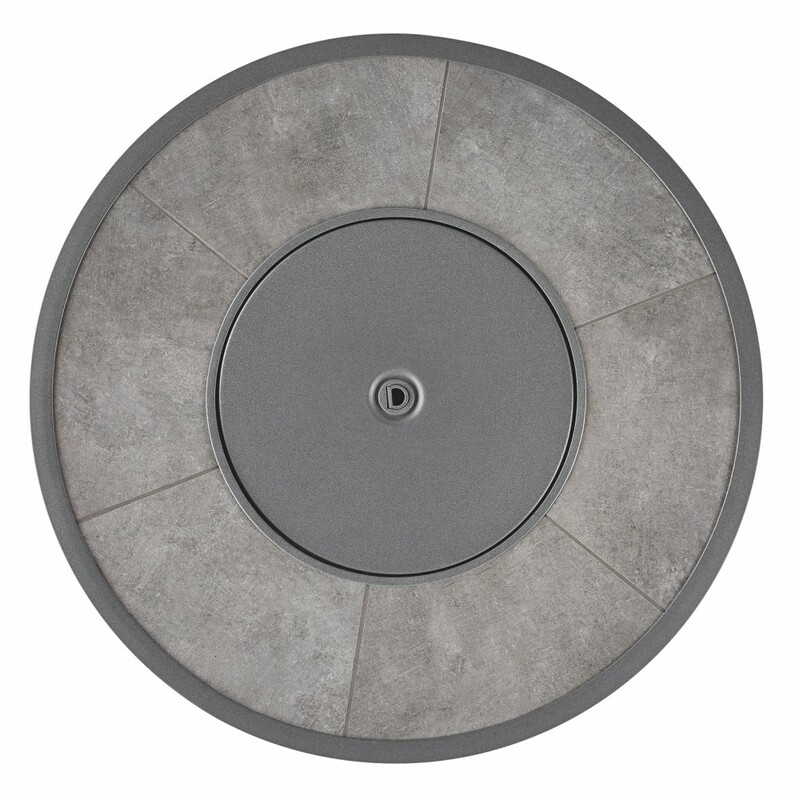 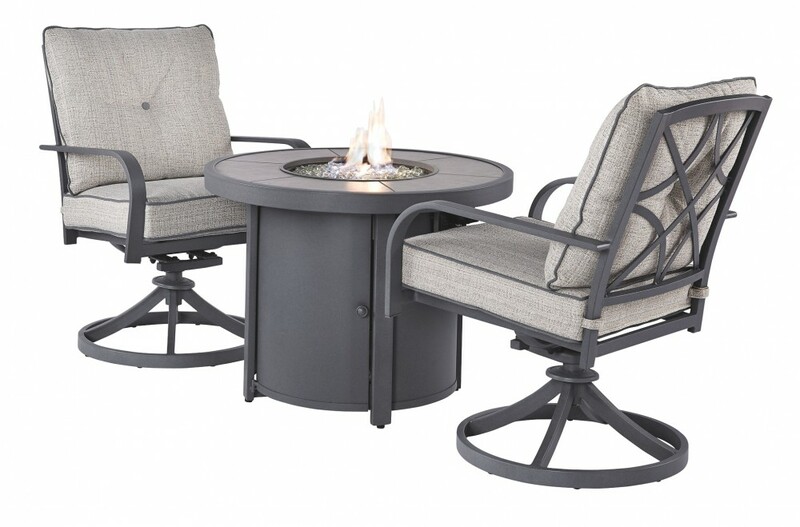 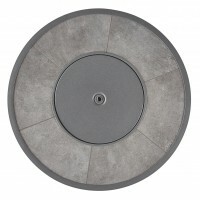 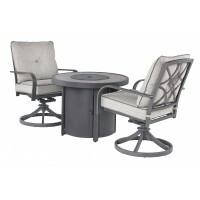 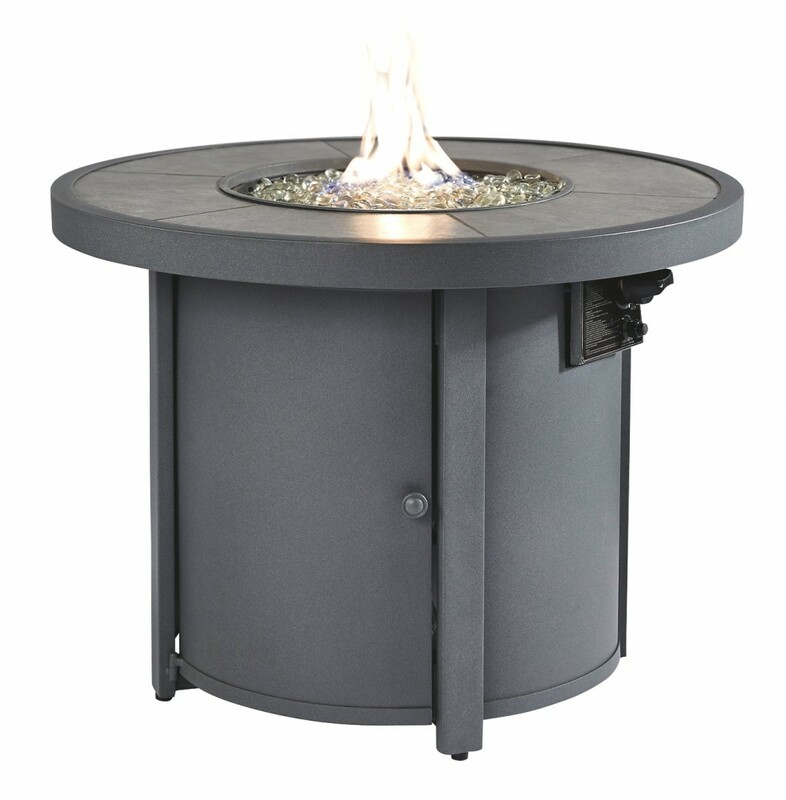 Sporting a trendy, textural gray finish topped with grouted porcelain for a sense of earthy elegance, this fire pit table is sure to turn your backyard space into a hot place for entertaining. 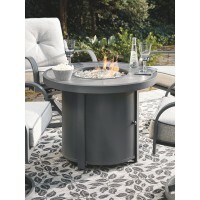 The way its flickering flame seems to float on a bed of clear glass beads is truly mesmerizing. 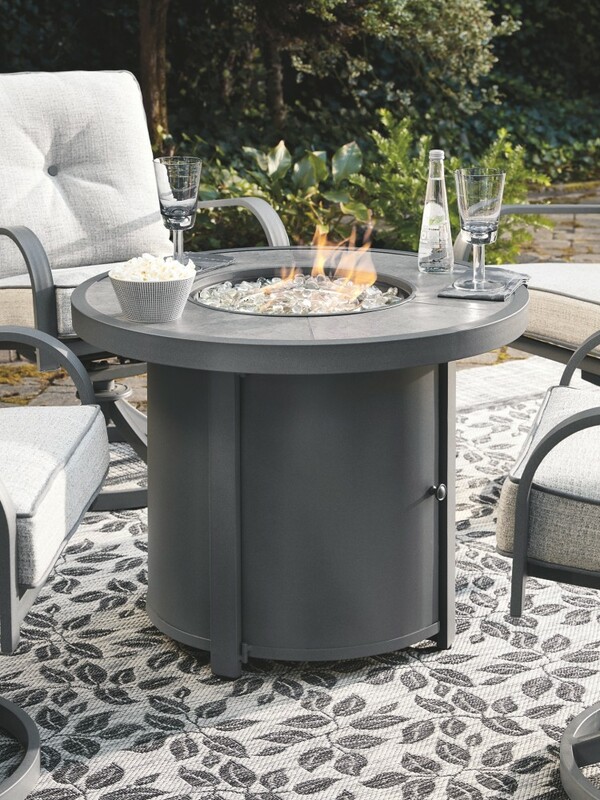 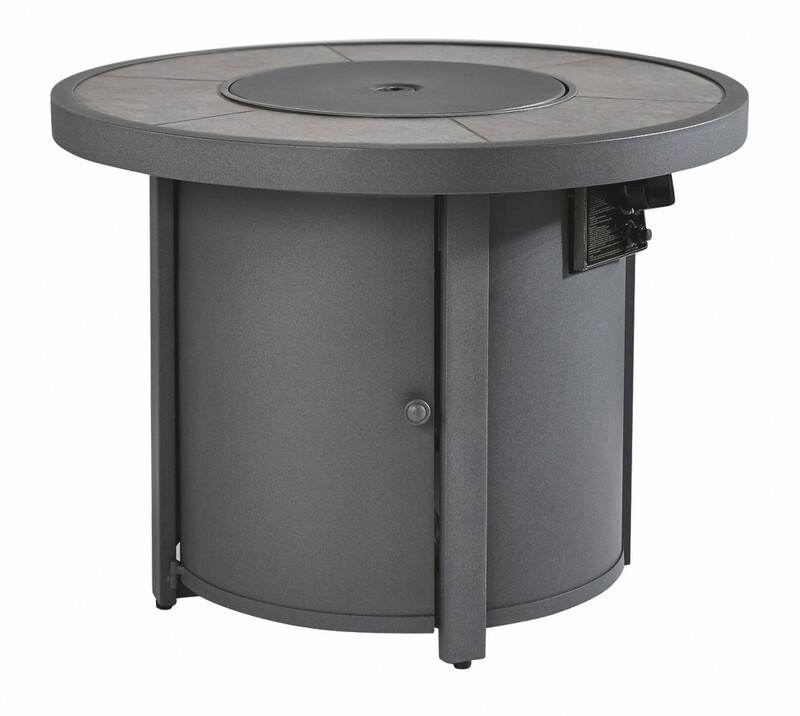 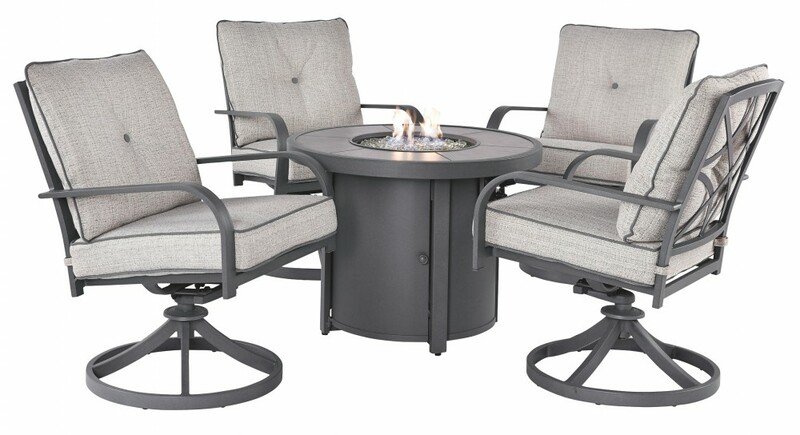 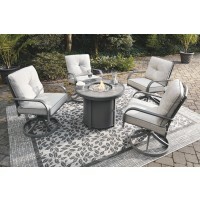 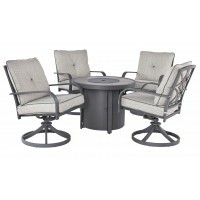 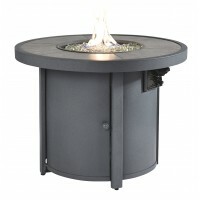 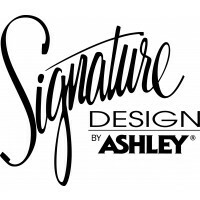 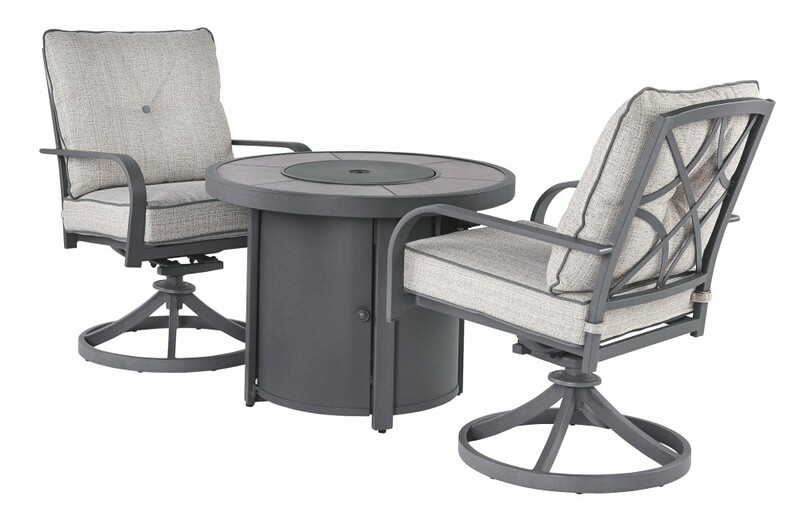 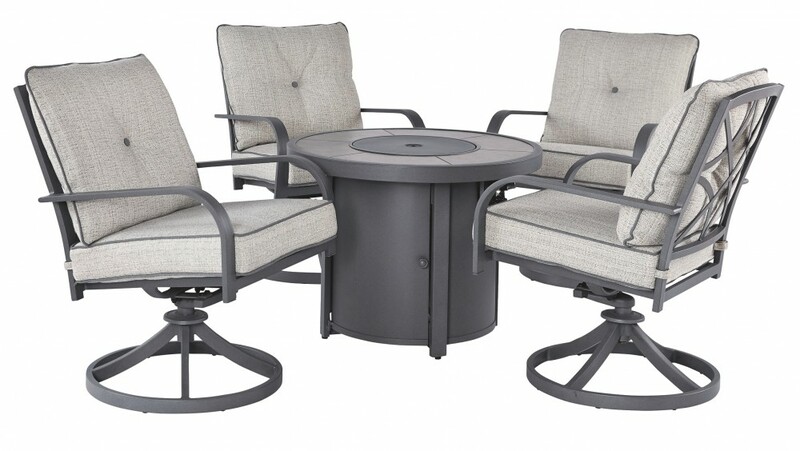 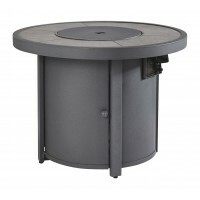 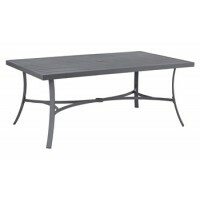 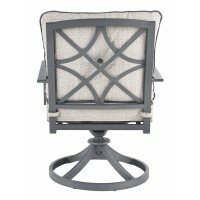 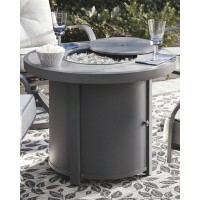 Crafted of sturdy, rust-proof aluminum, this outdoor firepit table is sure to weather the seasons beautifully.